Since 1988, Samsung has been a proud sponsor of one of the world’s greatest sporting events. 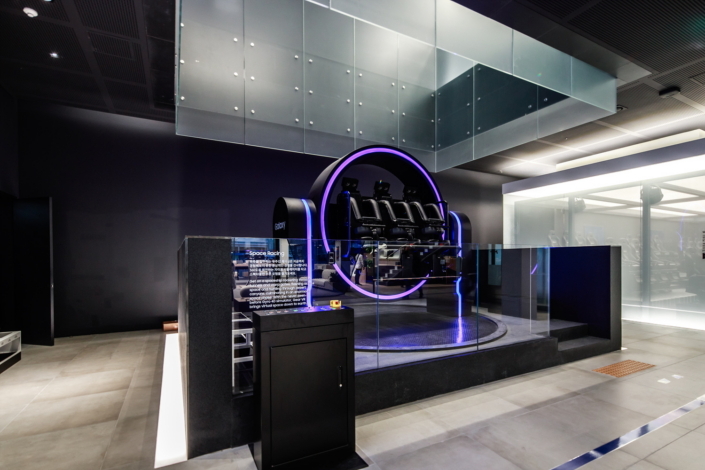 The company aims to foster the best possible environment for athletes to compete while also helping Olympic fans create lifelong memories of their experiences. 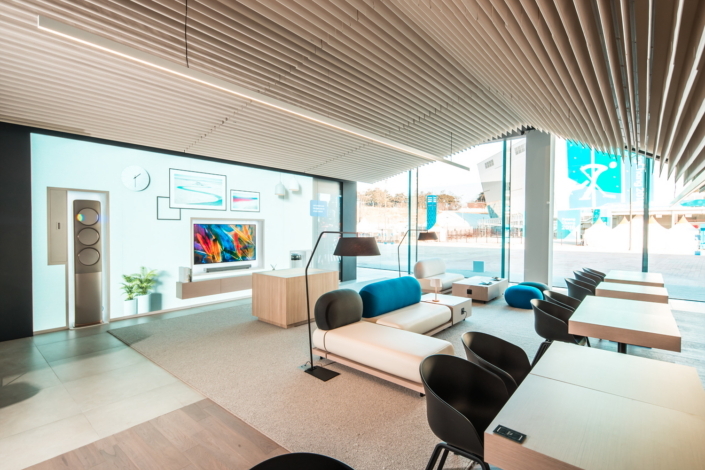 That is the inspiration behind the Samsung Olympic Showcase @ Gangneung Olympic Park, where visitors from around the world can experience the Olympic Winter Games like never before. 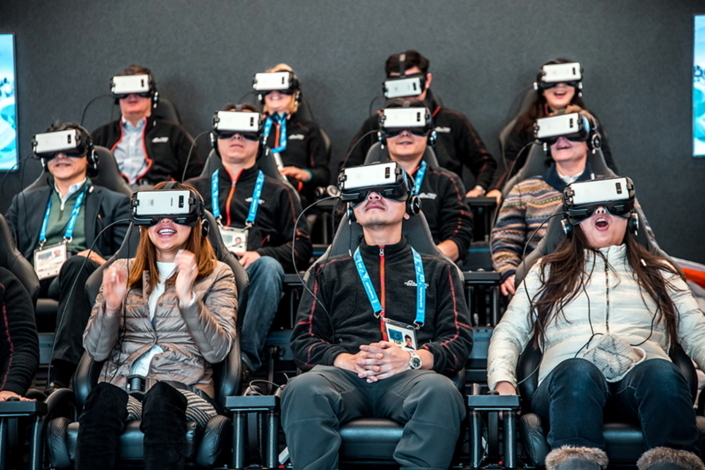 For those who have wondered what it feels like to compete in the Olympic Winter Games, the combination of the acrobatic simulator and Galaxy Note8 paired with Gear VR will immerse them in the most thrilling winter sports experience – without ever having to go outside. 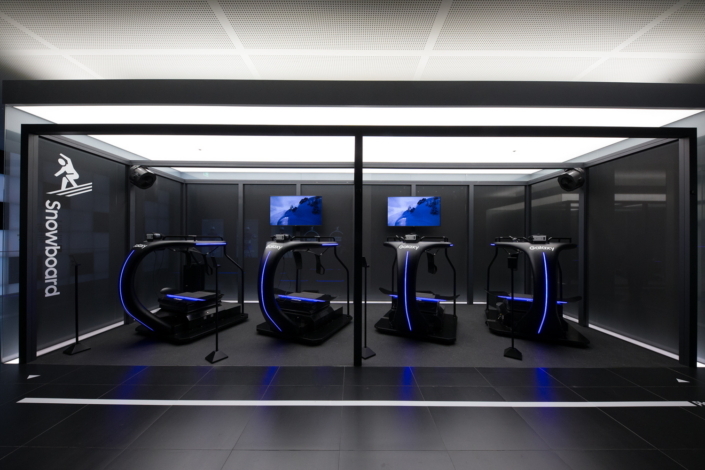 The giant Winter Ride, which is only one of the six VR experiences visitors can try, features dozens of rotating chairs that simulate the motions of charging down an alpine slope. 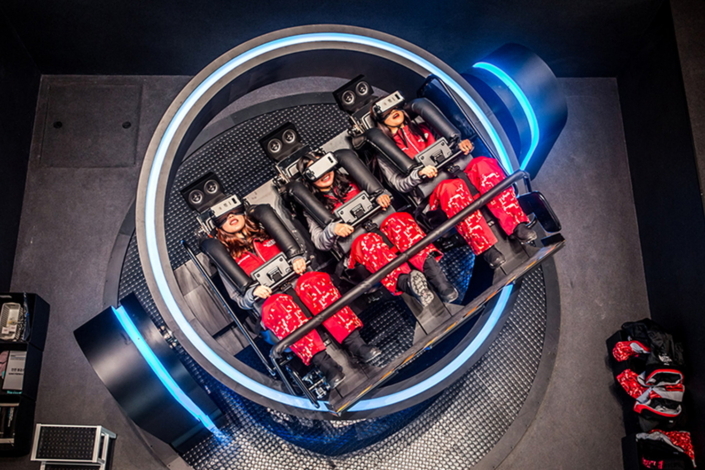 Visitors can also climb onto a specially-designed VR bobsled to navigate the twists and turns of a skeleton course at breakneck speed through the Galaxy Note8 paired with Gear VR headset and 4D motion chairs. 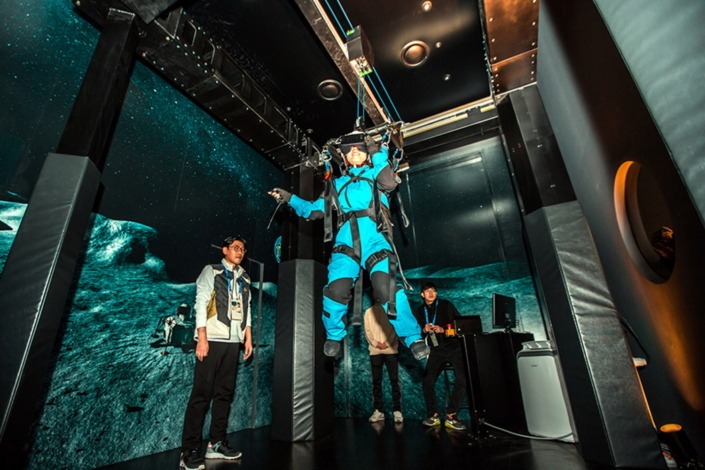 For those who would like to try defying the laws of physics, the snowboard VR ride might just do the trick. 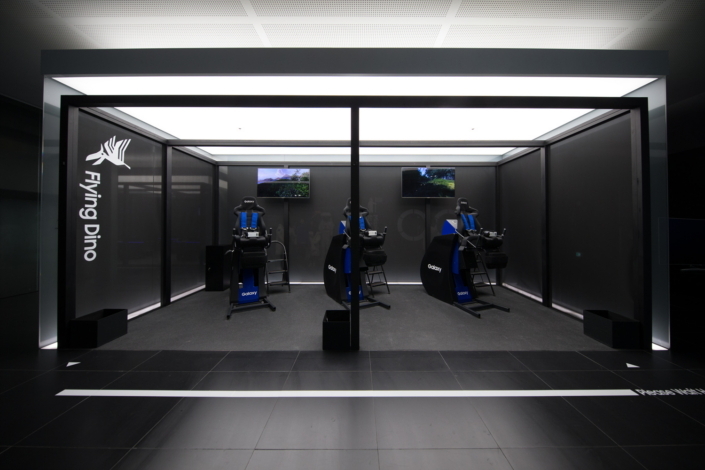 Just like competing in the Olympic Winter Games, the winter sports simulators give sports fans a rush of adrenaline. 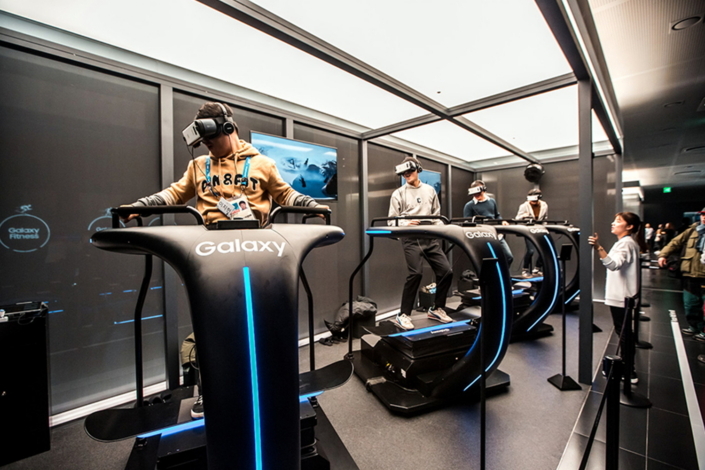 But that’s only the beginning – the VR rides at the showcase can take visitors out of this world when experienced through the Galaxy Note8 paired with Gear VR. After exploring the final frontier, why not try going back in time to see the prehistoric world from the point of view of a dinosaur at Flying Dino? 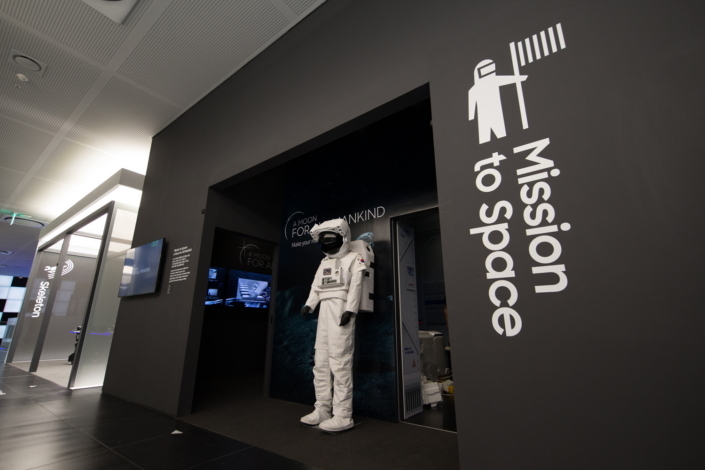 Put on a spacesuit and get ready to head out into the universe. 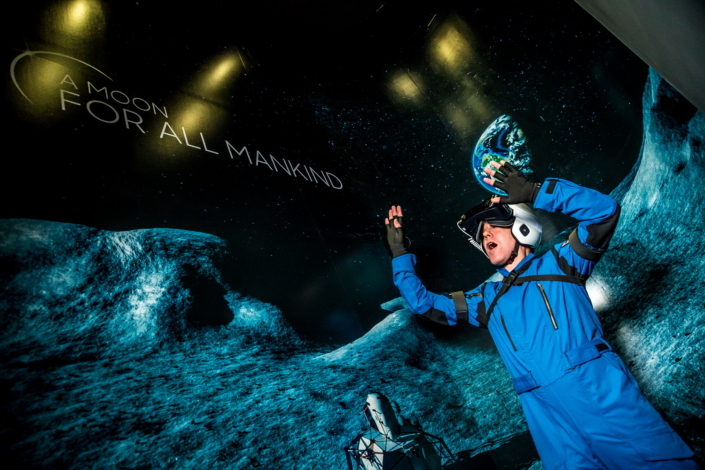 Mission to Space gives visitors the opportunity to feel what it’s like to float on the moon. 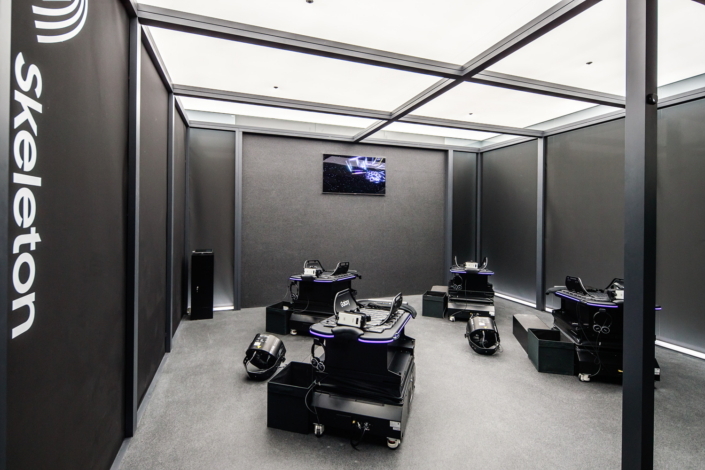 And for the grand finale of the showcase’s VR experiences, hop onto the Gyro VR and speed off into another dimension. 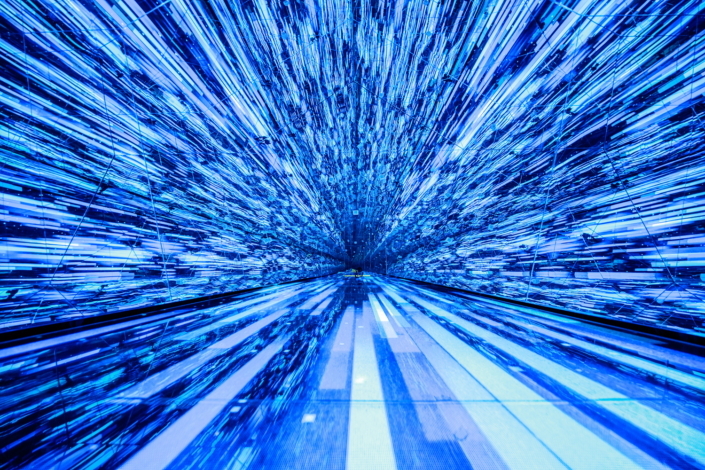 Olympians inspire people from all over the world to aim higher, and in that spirit of optimism, Samsung hopes to inspire a better future by developing meaningful technology that helps make life easier. 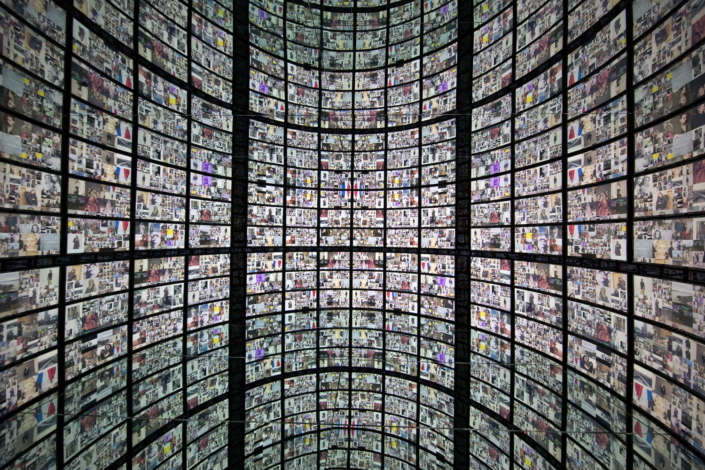 The Showcase gives visitors a glimpse of what that future could look like. 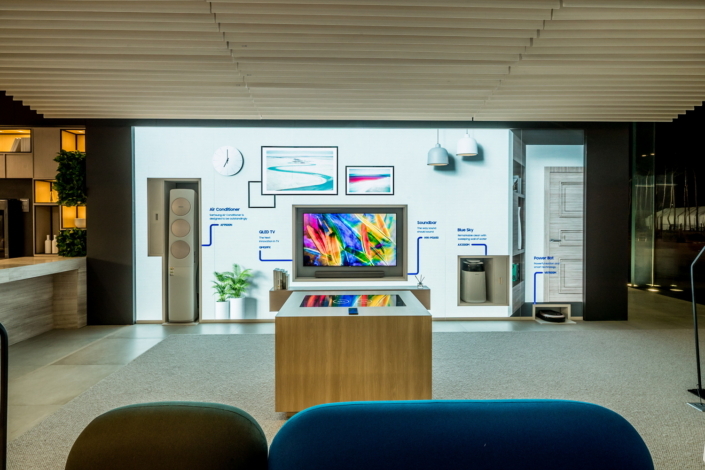 The Smart Home exhibition shows precisely how smartphone technology can enrich our lives and help us achieve more. 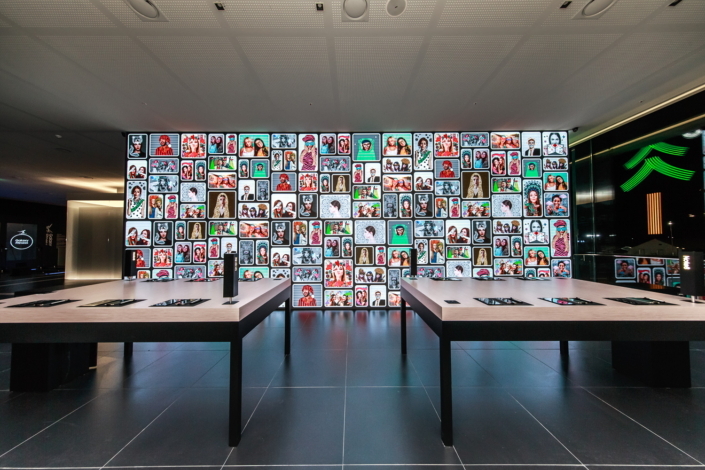 Packed with demonstrations by experts in different areas, the exhibition shows that having an AI assistant at home is no longer the stuff of science fiction. 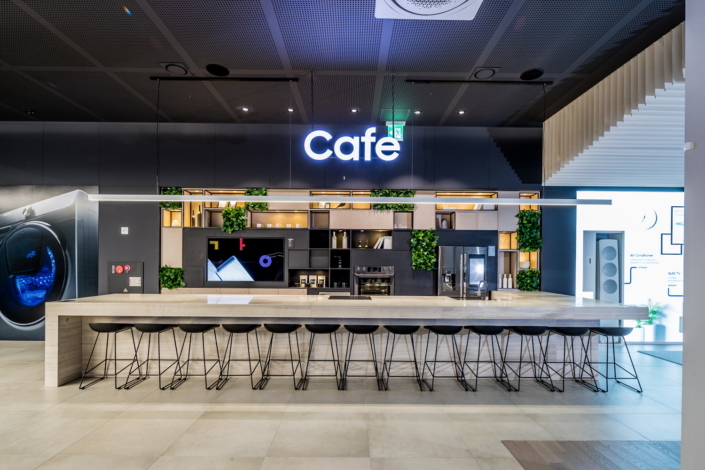 Whether it’s cooking, cleaning or relaxing, Samsung envisions a future in which all this can be done with the help of smartphones and other smart devices. Creativity is a critical part of the Olympic Games atmosphere. Whether it’s an athlete’s signature move or the special signs made by fans to cheer on their favorite team, creative expression is everywhere at the Olympic Games. 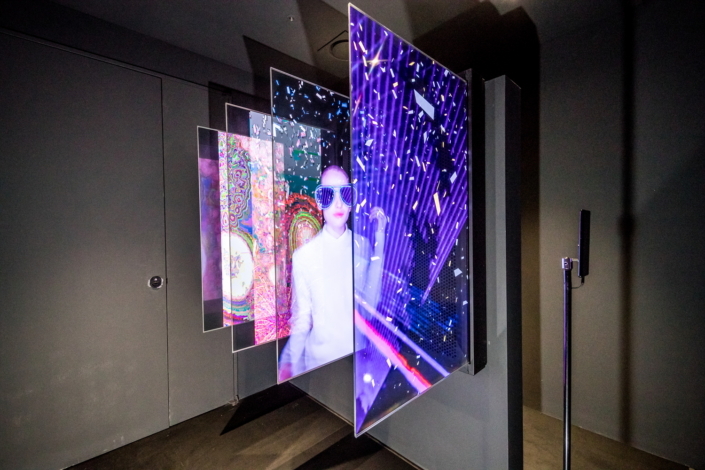 To generate excitement fit for this global event, Samsung’s showcase offers fans at PyeongChang 2018 the opportunity to rediscover their inner child and unleash their imaginations through the latest technology. 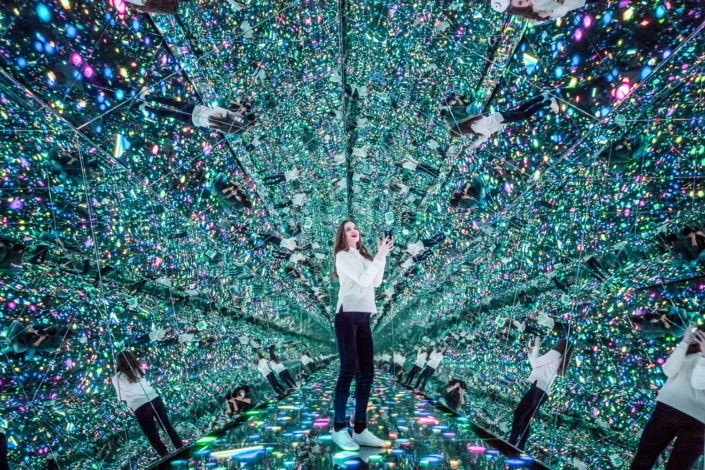 One of the Showcase’s highlights is Infinity Moment – a room that transforms artwork created by visitors with a Galaxy Note8 and S Pen into a mind-bending experience. Just remember to have a camera ready: It’s a selfie moment no one should miss. 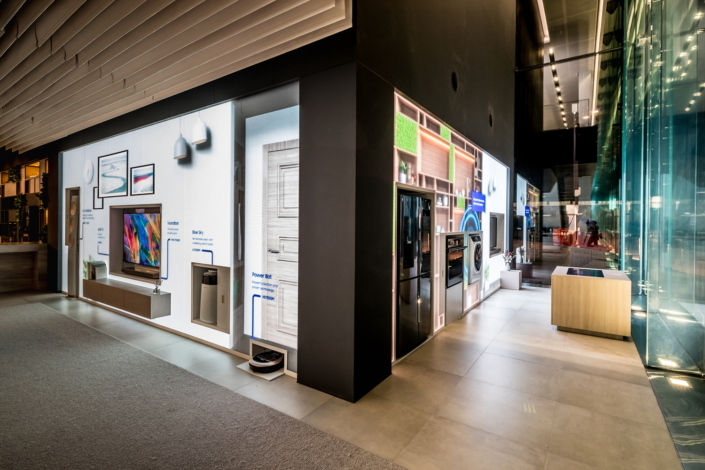 Samsung’s Olympic Showcase is perfect for people of all ages. 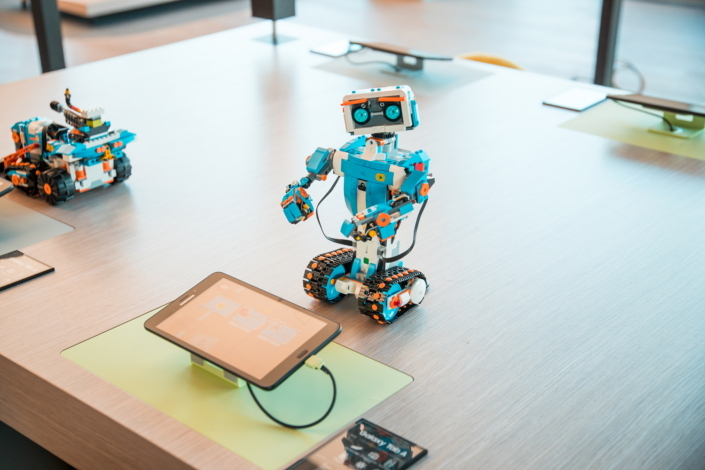 Young Olympic Games fans can head over to the Kids’ Lounge where they can learn how to program robots and draw without constraints on Galaxy devices. 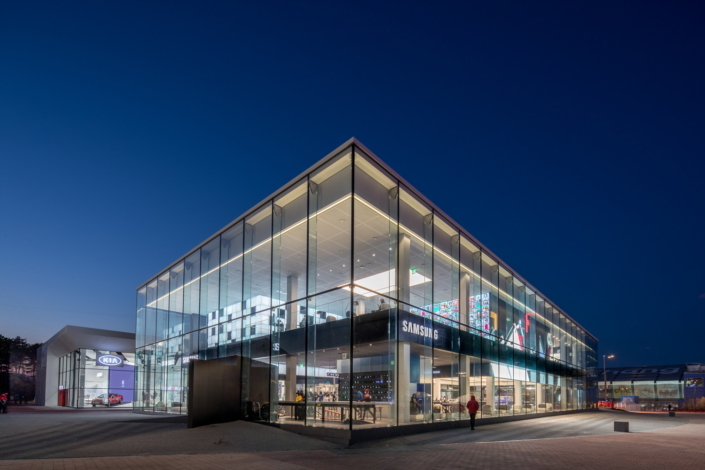 The Samsung Olympic Showcase @ Gangneung is open until the end of the Olympic Winter Games PyeongChang 2018 and for the duration of the Paralympic Winter Games from March 9-18.